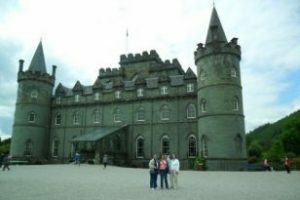 Inveraray Castle and Loch Fyne private tour. 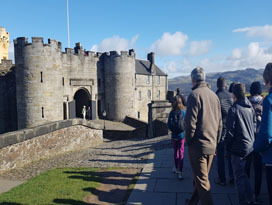 Enjoy a choice of exceptional Greenock Shore Excursions to a plethora of fantastic visitor attractions in Scotland, private Scottish tours for groups of up to 8 people. 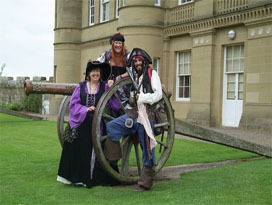 We specialise in shore tours and excursions from the town of Greenock, Inverclyde near Glasgow. Our signature tour takes you a short drive north east from Greenock to the iconic Historic Stirling Castle. You will discover the secret stories of the most important castle in Scotland’s bloody history. Your journey will continue north from the city of Stirling into the Trossachs National Park. Sit back and relax as you journey through the tantalising Trossachs to Aberfoyle and the bonnie, bonnie banks of Loch Lomond. 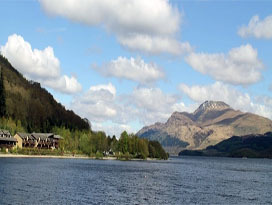 Explore the aspects of Loch Lomond and marvel at the beautiful Ben Lomond, the most southerly mountain in Scotland. 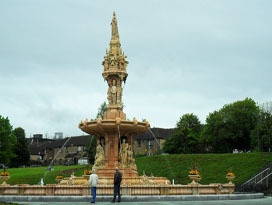 Other great days out from Greenock are in Ayrshire where Scotland’s national bard was born. 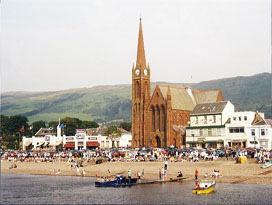 Not far from the port of Greenock you can take a day trip down the coastal route to the seaside town of Largs (where the last battle between the Vikings and the Scots took place in 1263). You can enjoy a lovely stroll along the promenade in this picturesque town before setting off to visit the birthplace of Scotland’s most famous poet, Robert Burns. Other fantastic places to visit in this locale before heading back to your cruise ship are; the magnificent Culzean Castle, Turnberry and Royal Troon. You may like to consider other one day itineraries. You are well positioned to enjoy a day visit to Inveraray on the fjord, like Loch Fyne. The highlight of the day, is a visit to the Duke of Argyll’s home, Inveraray Castle. Enjoy some of the local fresh seafood on offer or take a trip into the infamous Inveraray Jail, where many convicts were held before being transported overseas to Australia and America. 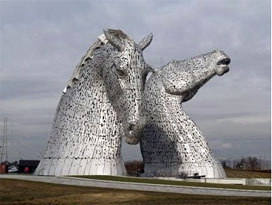 There are so many other fantastic shore excursions from Greenock, such as the Kelpies & the Falkirk Wheel, the city of Glasgow and of course the William Wallace (Braveheart) tour. These excursions on the shore offer you the chance to make ever lasting memories of Scotland before setting sail from the town of Greenock to your next wonderful destination.